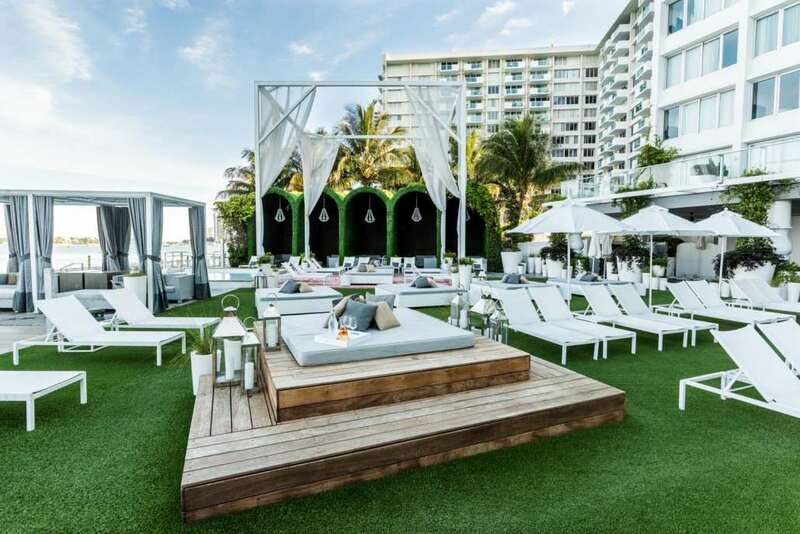 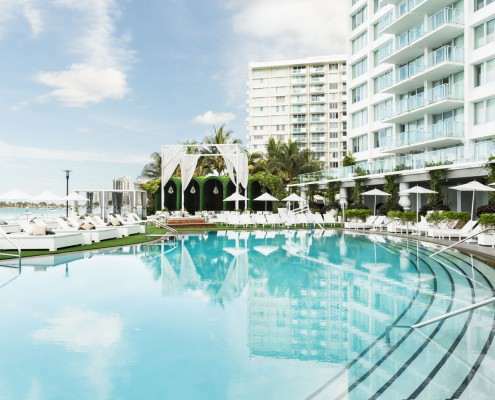 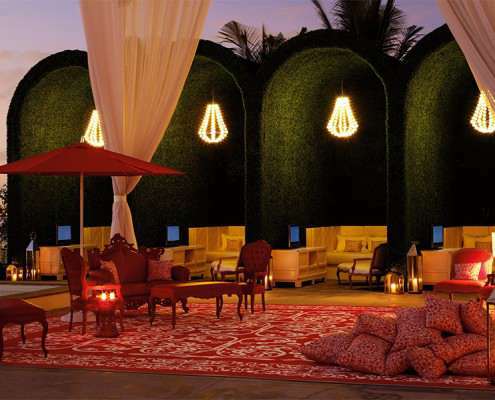 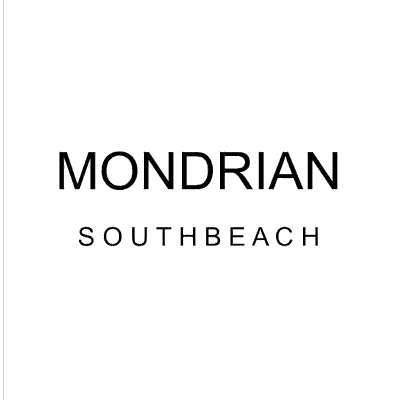 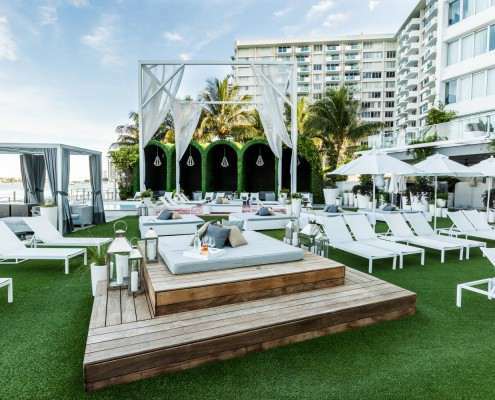 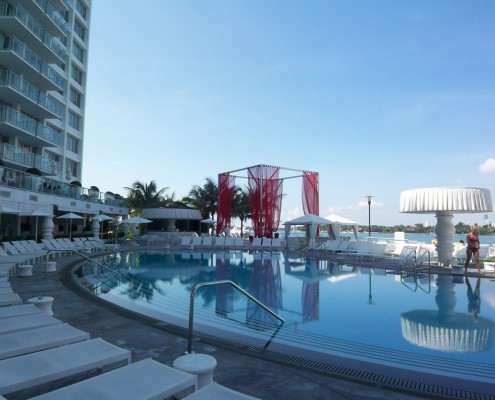 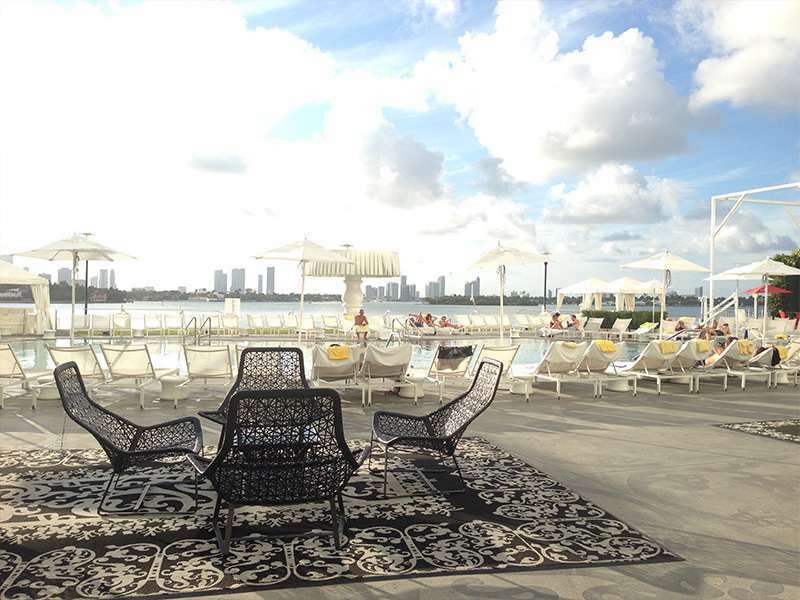 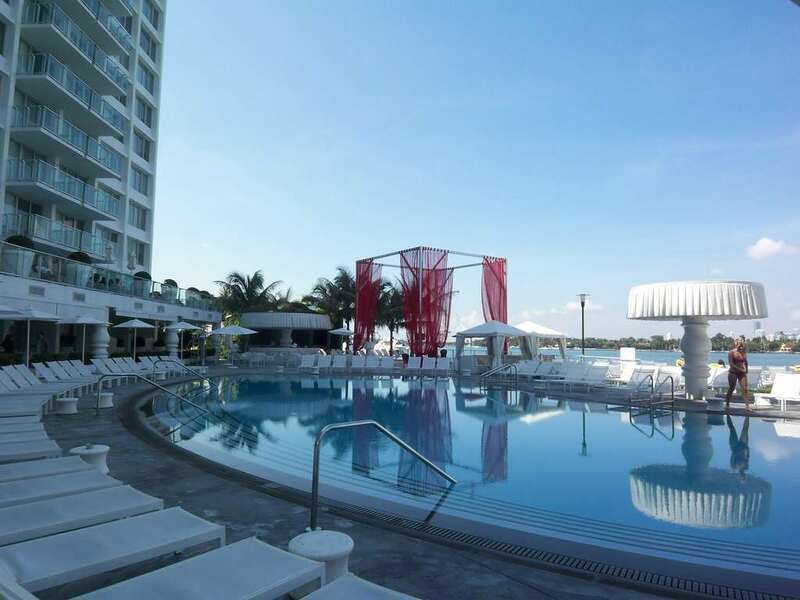 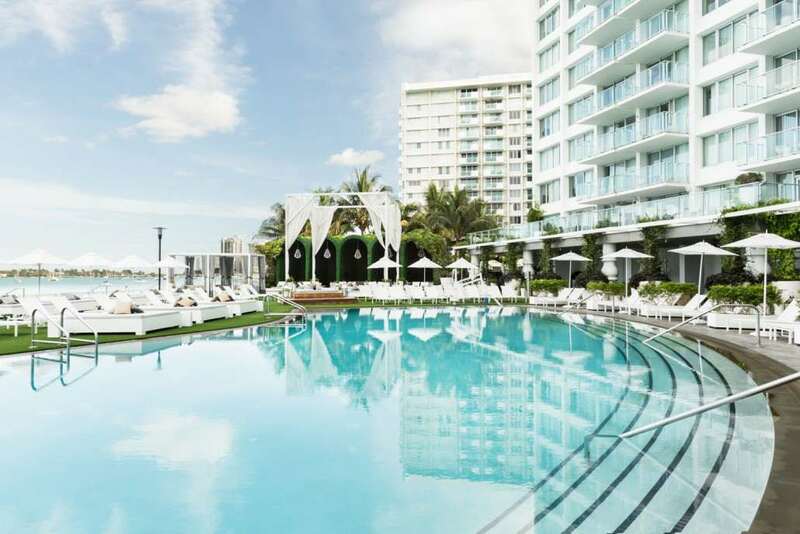 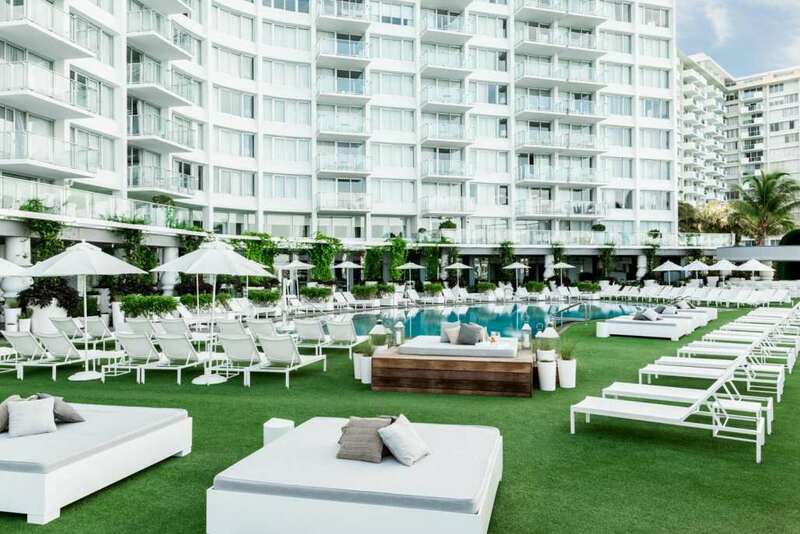 Set on the stunning waterfront of Biscayne Bay, Mondrian South Beach captures all the heat, intensity, energy and vibe of the original Mondrian in Los Angeles. 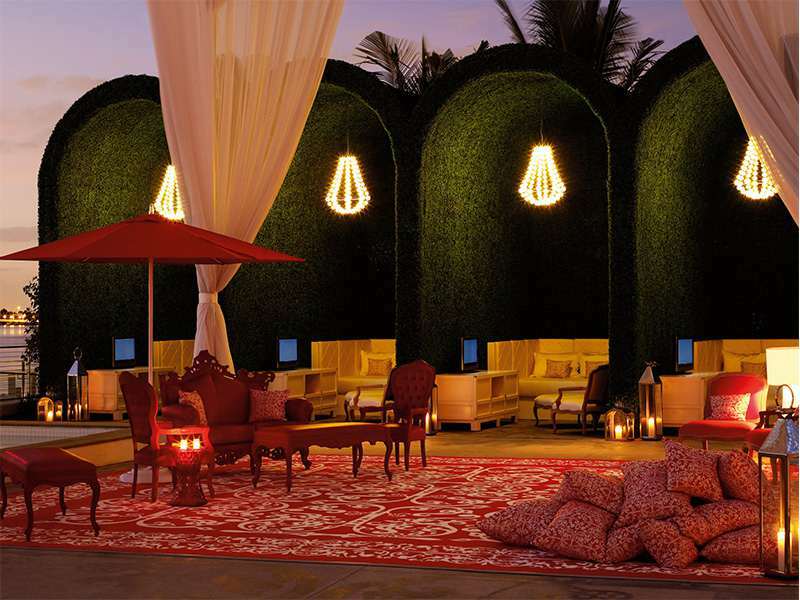 Revolutionary Dutch designer Marcel Wanders’ whimsical and visionary style for the hotel is an homage to “Sleeping Beauty’s Castle.” In the soaring lobby, where the scene is about “see-and-be-seen”, floor-to-ceiling windows offer spectacular views of the Bay, while the eye is drawn to the masterpiece of the room–an iconic, signature “floating staircase.” Prepare for a night out at our signature South Beach spa, agua, or work off last night’s indulgence at our world-class gym. 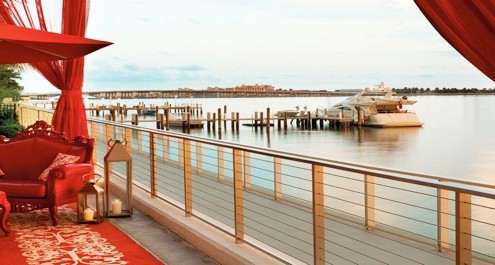 Enjoy a meal indoors or al fresco at our restaurant, La Savina, focused on locally sourced ingredients, or a specialty cocktail at Sunset Lounge. 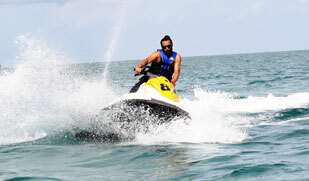 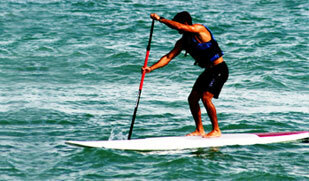 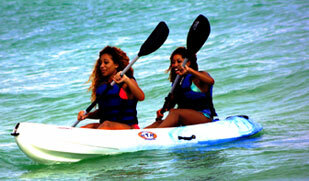 Also on site is a private marina exclusively for guests’ use. Located on newly-fashionable West Avenue, Mondrian is just minutes from the center of South Beach, downtown Miami, Miami Design District, Wynwood Arts District, Venetian Causeway, Lincoln Road, Ocean Drive and Espanola Way.